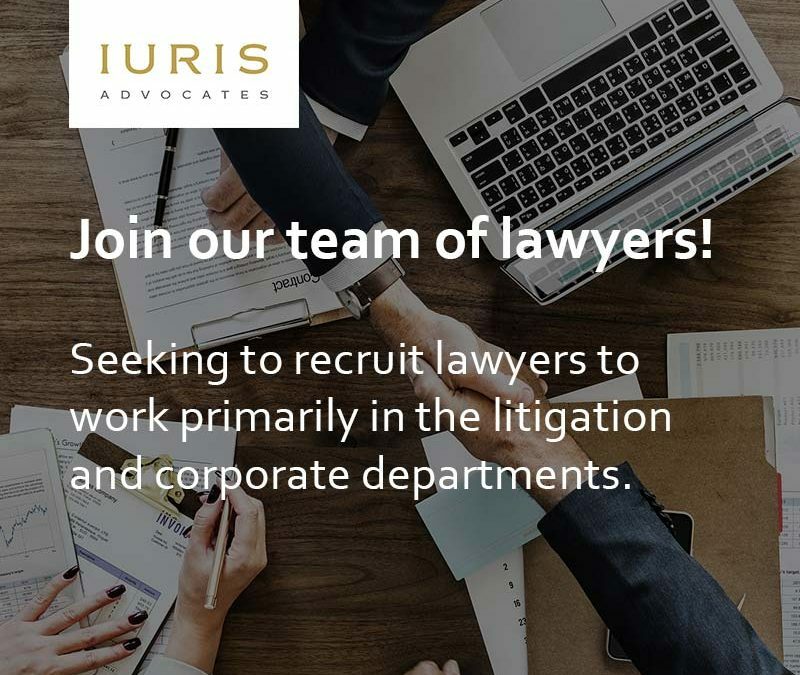 Iuris Advocates in Malta is seeking to recruit lawyers to work primarily in the litigation and corporate departments. Candidates are expected to be prepared to contribute and support other practice areas too. Working experience will be considered an asset. Iuris offers an attractive remuneration package and working conditions, as well as good prospects of advancement within the firm. For further information about Iuris please visit www.iurismalta.com. To apply kindly send an email together with your CV to info@iurismalta.com to the attention of the Managing Partner.